Score 160000 points to complete the level. Candy crush saga is also not that easy in dreams and it will take still lot of your important time but I know you still want to play candy crush more as you much addictive to it. This is one of hardest level of candy crush saga dreamworld till now and reaching requirement wont be that easy plus will need to play this level with good strategy and will need luck to get 160000 with all 30 moves with balancing the Odus owl. To complete this level first you should try to increase moon power by breaking candies that Odus have without loosing balance and then break grill boxes. As you will have full moon power it will struck and will give chance to make lot of colorbombs and then try to combine it with other special candies fast like with striped candy. You should try to play slow and use moves cleverly and try to play with other candies if the Odus owl isn’t balancing and if you will have better luck you will complete this level as we did after lot of attempts. 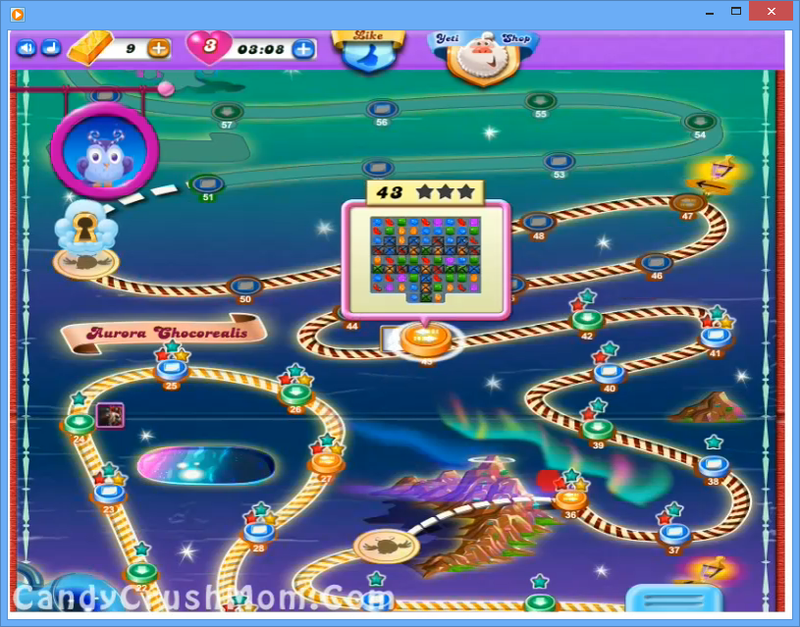 We completed this level 291480 score and luckily get lot of colorbombs and after reaching require balance we try to play remaining moves with other candies that the Odus owl not have to balance and get three star score. Have scored well over 360,000 points but cannot get passed this level why?